During most presentations, there’s only 1 enthusiastic person in the room: the presenter. Most others are passively daydreaming, or actively using their smartphone. Some presentations are different, though, with engaged audience members sitting on the tip of their seats. The difference between both? A one-way conversation versus an interactive play. 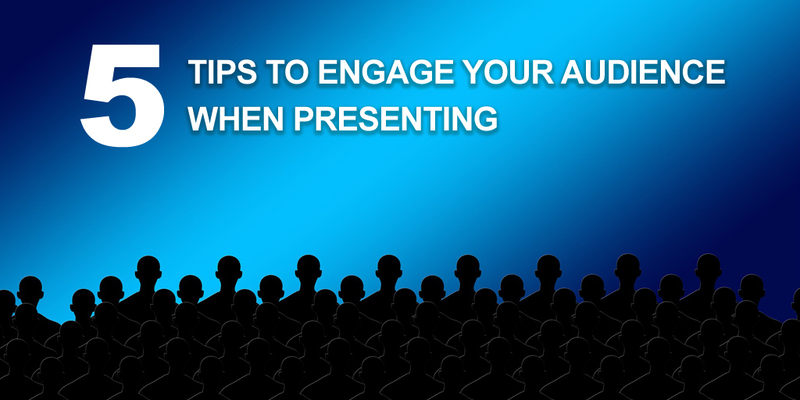 Here are 5 tips for you to make your next presentation an energizing moment for those present. Do a poll: Polls are nice. Not only do you involve the entire audience. In addition, you get them to move physically (by raising their hands). Those who were daydreaming are interrupted as well as those who were reading their e-mails on their smartphone. Give an exercise: Any exercise can do, as long as it’s relevant and provides your audience with more insight. This is where your audience creates its own ‘aha-moment’, and you have them completely hooked. Tell a story about somebody in audience: Stories are always nice, but if you tell a story involving somebody in the audience (“remember Anne, what happened the day before the IPO? …”), suddenly everybody is all ears. A story ‘close by’ captivates much more than one ‘far away’. Get people to repeat key messages: Make sure your audience has understood the 2 to 3 key messages of your presentation. Repeat them several times yourself, and ask the audience to repeat in choir. This tip is superb when talking to a large audience. We wouldn’t use it for small audiences though. Contact us if you want to enhance your own or your team’s presentation skills.